Learn how to Fall Safely and prevent falls. Note: we update our site regularly -- be sure to click your browser "Reload" button to get the most current version! The fear of falling is one of our strongest phobias, so most people never learn how to fall properly. Injuries from accidental falls have become epidemic, but little has been done to help people learn how to fall. 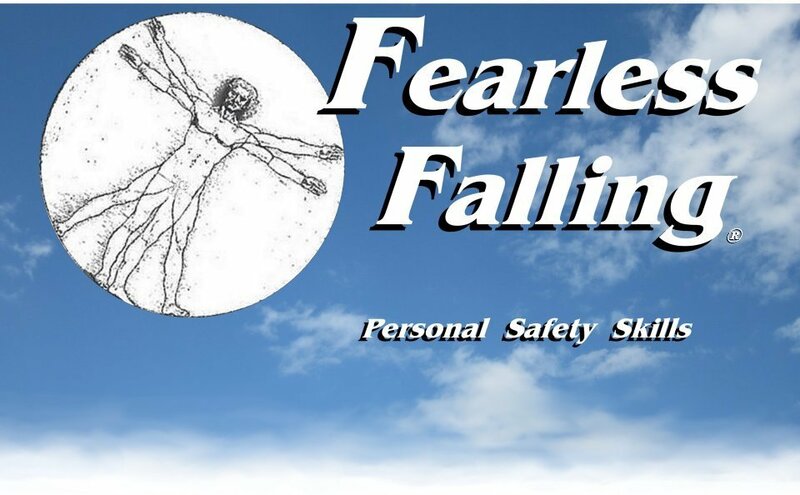 Learning how to fall safely is the primary purpose of the Fearless Falling classes. Please feel free to drop in and observe, or participate, in a single Fearless Falling class at any time. on how to prevent falls and how to fall as safely as possible. Note: most of the basic class material is repeated and practiced over again. You can start a class or two behind and still catch up easily. The Whetstone Community Center: A.J. on the "Big Blue" mat. K.R. 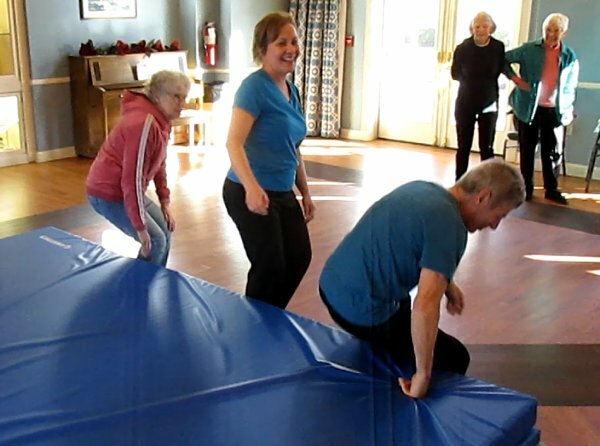 demonstrates a basic fall on our thick mat at the Griswold Center. 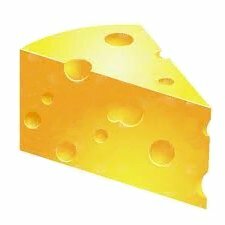 What is "Slapping the Cheese" all about? Doctors, engineers, and entrepreneurs are working to address the falling epidemic. What is the Fearless Falling Program? Based on Tai Chi movement skills and Kung-fu wrestling falling techniques, Fearless Falling classes will teach you how to prevent falls and how to protect yourself as much as possible if you have an accidental fall. The basic skills of falling safely are not difficult, but like any physical skills, they must be practiced to be learned well. Just as important, practicing the falling motion in a safe way on soft mats reduces the FEAR of falling. Fear stiffens us up and slows our responses -- having a strong fear of falling makes you more likely to have a serious fall! Martial arts students, gymnasts, skaters, skiers, wrestlers, and other athletes learn specific falling methods for their arts. Most of these techniques are very useful if you have a sudden accidental fall. Some martial arts, like Judo and Jujutsu, strike the ground with an outstretched arm (shown left) to help absorb some of the shock. 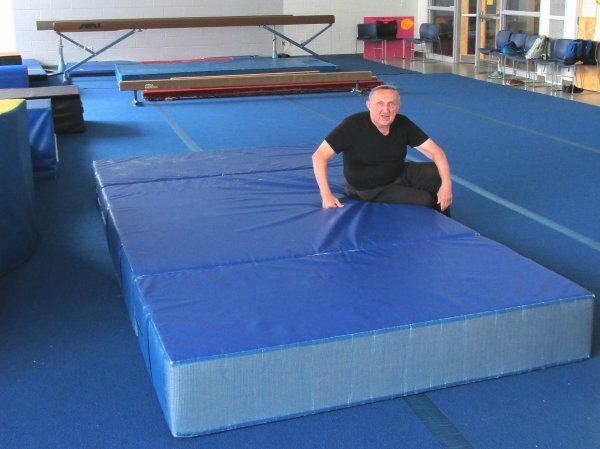 But this method is problematic off the mats, where concrete and uneven surfaces abound, and requires accurate timing to be effective. We teach a modified method from Shuai Chiao Kungfu, where your arms pull in and wrap protectively around your head. But, details aside, any training in proper falling techniques is better than NONE. Just as basic swimming instruction can prepare you for an accidental plunge into water, basic falling methods can prepare you for an accidental fall. The Fearless Falling class will provide you with information and actual practice of some basic real-world physical survival skills. These simple self-protection skills prepare you for common situations and can prevent a trip to the hospital or even save your life. In addition to falling skills, we cover balance, coordination, and mental awareness. Tai Chi practice has been shown in several scientific studies to improve balance and awareness of both your own body and the surrounding environment. These abilities are key to the prevention of falls. Fearless Falling starts with very low and easy movements such as rocking back and forth on the floor, for example, and progresses gradually to more advanced levels. You will practice getting up and down from floor level -- with assistance as needed. The actual falling skills are practiced on a very thick (12-14") soft mat. It's like sitting down on a low bed. never be forced into a dangerous or threatening situation in the class. to floor level without the normal training mat. Remember: Tuck, Sit, & Roll. having an accidental fall this year. The most common serious injury from falling is a hip fracture. their prior level of mobility and independence. and 20 percent of those fatal falls occur in residential institutions. and the primary cause of fatal injuries for Americans 65 and older. Most injuries come from striking a hard floor. more than 202 percent from 2000-2015.
to the emergency room, and over 400 die as a result. Don't be a victim of gravity! Learn the basics, and it will be valuable for the rest of your life. No material on this site may be reproduced in any form without the express permission of Fearless Falling. 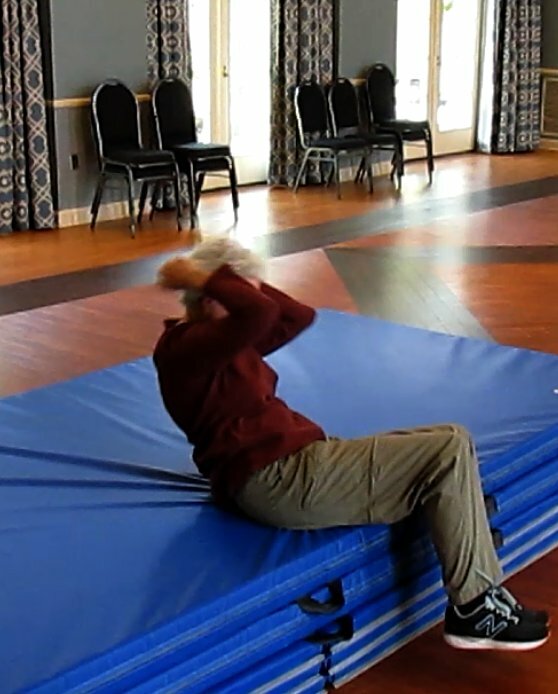 The falling methods and techniques shown on this site and taught in the Fearless Falling classes are basic physical skills that, like any exercise program, can potentially cause serious injury -- especially if practiced without proper instruction or supervision. Pre-existing conditions can make some physical movements extremely hazardous. Students with brittle bones, severe spinal issues, or weak abdominal areas should be very cautious. You should always consult your physician before starting any exercise program. All instructional materials on the Fearless Falling website are provided for educational purposes only. FearlessFalling.com and all assigns and associates bear no responsibility for any injuries or damages that occur from practicing, teaching, or using any of the methods or techniques shown on this site. These are reliable and time-tested methods, but we cannot guarantee their applicability or effectiveness for any particular situation or event. Practice these methods and techniques at your own risk.